More than ever, effective teamwork is critical to your success. This month, we made the experience of working with others even better through the release of co-authoring in Excel, enhancements to Microsoft Teams, an updated Yammer app, and more. Read on for the details. Today, we’re taking a significant step toward empowering people to work better together with the general availability of co-authoring in Excel. Now anyone can work together at the same time in spreadsheets stored in SharePoint Online, OneDrive, or OneDrive for Business. With Excel co-authoring, you’ll find it easy to know who else is working with you in a spreadsheet and view their changes as you work. We’re also announcing the general availability of AutoSave in Word, Excel, and PowerPoint for Office 365 subscribers who store their documents in OneDrive and SharePoint. Whether you’re working alone or with others, your latest changes are automatically stored in the cloud, and you’ll never need to worry about hitting the save button again. In June, we announced new experiences in Teams designed to help schools foster deeply engaged classrooms, strengthen professional learning communities, and tailor more effective school communication. This month, we released new updates that make it even easier for students and teachers to achieve more together. OneNote Class Notebook in Teams—Students and teachers can now enjoy a full view of their OneNote Class Notebook right from within Teams, making it easier than ever for everyone to stay on the same page. Educators and staff can also access their OneNote Class and Staff Notebook settings right within the app, simplifying classroom management. Enhanced assignments—Teachers can now add web links to reference materials to class assignments distributed through Teams, ensuring students have access to the third-party resources they need to get started successfully. Scores from assignments can now be imported into a school’s Learning Management System, ensuring a single source of truth for student grades. Improved IT control—IT administrators can now specify permissions for third-party apps in Teams and can enable or disable private chat and class assignments. These enhanced controls empower IT admins to create a safe and secure learning environment tailored for their schools’ unique needs. 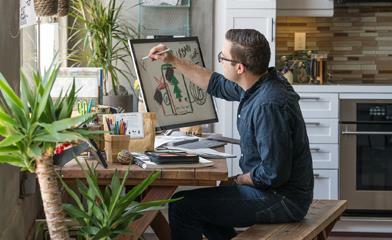 Co-authoring in Excel is now available on Windows for all Office 365 subscribers. AutoSave in Word, Excel, and PowerPoint is now available on Windows for all Office 365 subscribers. OneNote Class Notebook in Microsoft Teams is now available on Windows, Mac and web clients for all Office 365 Education subscribers. Enhanced assignments and improved admin controls are now available for all Office 365 Education subscribers. 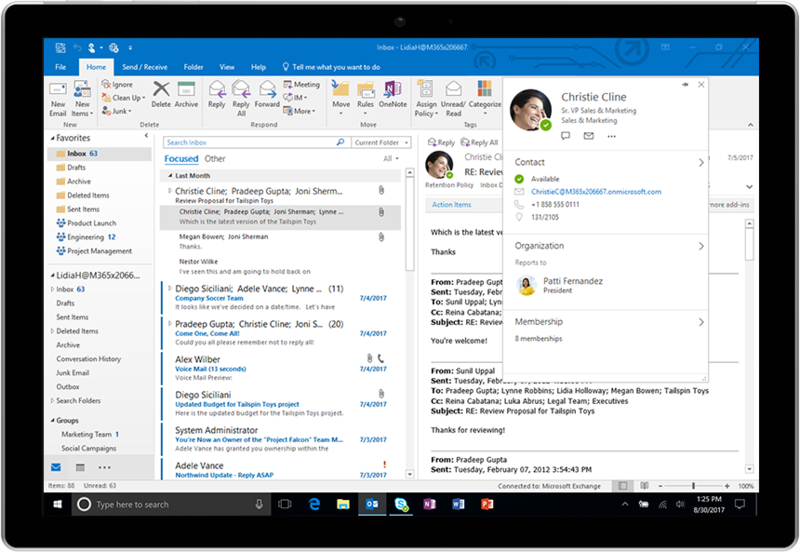 Rich profile experience in Outlook is rolling out on Windows for all Office 365 Commercial subscribers. 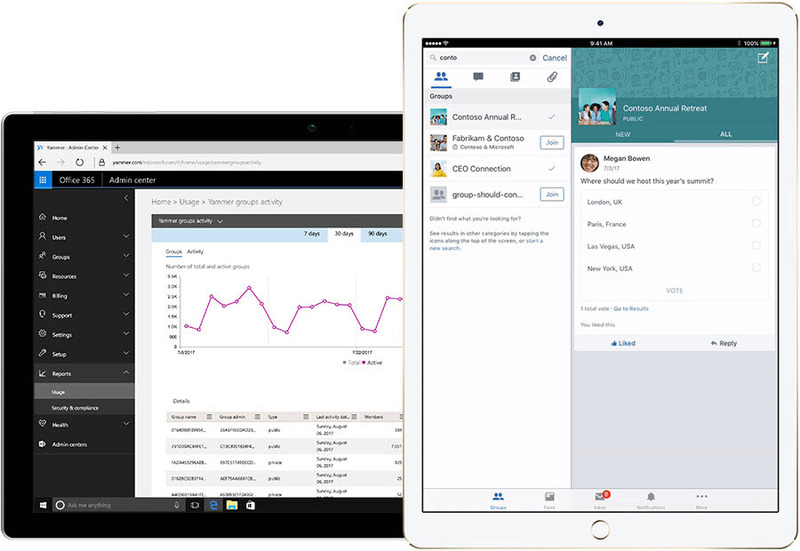 New Yammer apps are now available in the Apple App Store. Yammer activity report is now available in the Office 365 admin center.